In 1962, Remington Arms began manufacturing their bolt-action rifle series known as the Remington 700. Each rifle of this series uses a similar centerfire bolt action function. Depending on the caliber of the rifle, its internal magazine will usually have a capacity of either 3 rounds, 4 rounds, or 5 rounds. Some versions even have a floor plate (BDL version) which allows you to unload the ammunition from the bottom by a hinged door. If there is no floor plate installed (BDL version), then it is considered a “blind” unloading. You can turn an ADL into a BDL with a floor plate kit and a stock. 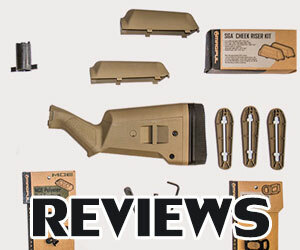 When you place your order for the rifle, you can have a detachable box magazine included with it. There are a variety of different assembly options available when you purchase the Remington 700 model. These differences pertain to its stock, caliber configuration, and barrel type. The rifle model is an expansion of the Remington 722 and Remington 721 models. These were first sold to the public in 1948. This is one of the best bolt-action rifles ever. It is made in the United States with great pride. The Remington 700 models have been the most popular bolt-action rifles for more than 50 years. No other bolt-action rifle has generated more sales than the 700 series. The receiver of the Model 700 has 3 steel rings which are quite known for their strength. It also includes a hammer forged barrel. This combination of components makes the Model 700 a superior bolt-action rifle amongst all the rest. This is the reason why elite snipers in the military choose to use the Model 700. It provides the kind of precision needed in a tactical operation. But even if you’re just hunting game in the woods, you can still take advantage of the accuracy that this weapon provides. The Modular Driven Technologies Remington 700 Chassis is a modular aluminum chassis designed weapon which is best known for its accuracy. 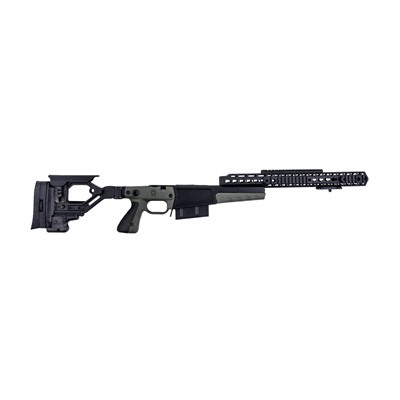 It combines the traits of the M16 and AR-15 platform with the accuracy provided by a bench rest rifle. Since the Remington 700 Chassis is designed in a straight line, the recoil of each shot gets forced back to the rear of the weapon. This means the muzzle won’t rise and you’ll more than likely shoot straight and hit whatever target you’re aiming at. If you want to attach detachable box magazines to the weapon, the bottom metal portion of it is configured especially for this purpose. 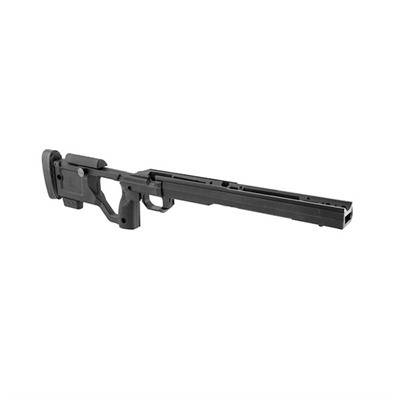 On top of the receiver and aluminum forend, there is a Picatinny rail which gives the shooter even more stabilization to ensure they make an accurate shot. Like any modular weapon, you can make an array of modifications to the Remington 700 Chassis. Many of the modifications include accessories of the AR-15. For starters, if you truly like the feel of an AR-15 then you can install the AR-15 pistol grip onto the Remington 700 Chassis. Other accessories include a buttstock and extension tube for the receiver. Aside from the modular driven Remington 700 Chassis, there are four other variations you may want to consider as well. The JP Advanced Modular Chassis System is a JP chassis is perfect for long range shooting because of its optical mounting system which resembles AR-15-style optics. You also have a palm shelf grip for easy stabilization on the weapon, which already has reduced recoil. 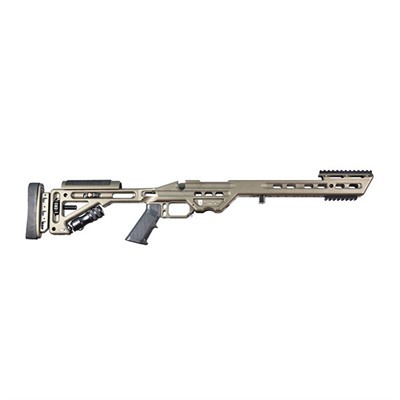 The Accuracy International Remington 700 Chassis integrates the functionality of the Accuracy International AX sniper rifle system into the weapon. The full length of this aluminum chassis system is suitable for virtually any style of shooting and in any type of environment. There are two bolts which attach the action to the chassis which lies in the V-bedding system which is self-aligned and does not need bedding. The Remington 700 Masterpiece Arms BA Rifle Chassis maximizes the accuracy and customization that you would want in your rifle. Its V-bedding system not only gives you complete accuracy, but it allows you to glass bed the barrel’s straight portion and the action. Lastly, the Kinetic Research Group Remington 700 X-Ray Chassis contains a modular rifle stock which gives the shooter precision in their shooting. It is made specifically for the Remington 700SA which means there is no bedding or gunsmith work needed. The Remington 700 rifle is surely a fine weapon but there are always ways to make it better. One of the biggest upgrades you can make to any bolt action rifle is adding a modularly driven chassis system that will extend its compatibility with other accessories. For example, if you are a fan of AR-15 grips and stocks, then adding a Remington 700 chassis system that is manufactured by Modular Driven Technologies will enable you to do this. Not only that, but you can add external rifle magazines to it as well. Experts you’ve used this chassis system have claimed it has increased their shooting accuracy by 28% on average. The three most popular Modular Driven Technologies chassis systems for the Remington 700 are the TAC21 Chassis System, the LSS Chassis System, and the HS3 Chassis System. Each chassis system has their own unique benefits so it really depends on your preferences as a shooter. The TAC21 Chassis System, for example, contains a straight-line design with customized ergonomics that are made to increase modularity and accuracy for the shooter. 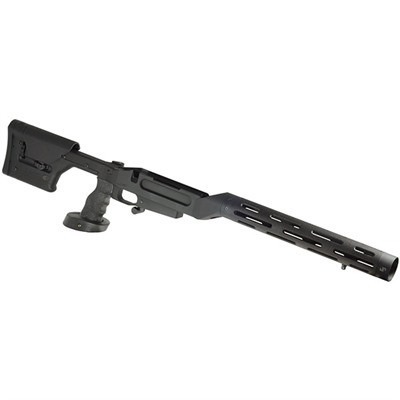 This system is suitable for both long action and short action versions of the Remington 700. The LSS Chassis System is a “Light Sniper System” that gives your Remington 700 a chassis system that is lightweight. This, along with its compact design, enables you to be extra mobile with your rifle. As for the HS3 Chassis System, this caters more to those who are using their rifle for hunting or tactical purposes. The side panels of this chassis system are made of reinforced polymer which makes it both lightweight and durable at the same time. This system also has an extended forend to make stabilizing the weapon a lot easier when you have to shoot it. The prices for each of these chassis systems varies extensively. The TAC21 Chassis System is priced at $689.99 which is the most expensive one of the three. The HS3 Chassis System is priced at $499.99 which is the average price you’d expect to pay for a new chassis system upgrade. But if you are on a tight budget, the LSS Chassis System is priced at only $399.99. If you are experienced at taking apart weapons and adding upgrades, the only installation process shouldn’t take you more than 45 minutes. 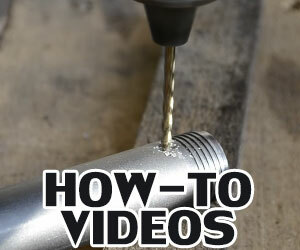 However, if it is your first time adding a Chassis System to a bolt action rifle, you may want to reserve a few hours of free time or have a more experienced person do it for you. The JP Advanced Modular Chassis System is a high-quality chassis upgrade for your Remington 700 bolt action rifle. 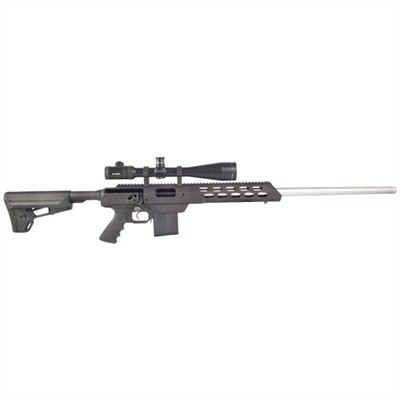 The entire system is machined from aluminum that is used to build aircrafts with and it is compatible with any right-hand short action Remington 700 rifle, or its clone. The tactical grip included with this chassis system is connected to an adjustable Magpul stock that can be folded to fit virtually any size shooter. Most importantly, the extended magazine release provided by this system allows the shooter to keep their hand on the grip while they change the magazine. 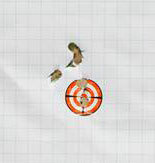 If you are shooting at a target, especially a moving target, then this feature will certainly come in handy. The JP Advanced Modular Chassis System weighs only 83 ounces and has a 13-inch length of pull. The bolt release is not in front of the trigger but rather on the side of the bolt action. There are two versions of this chassis system that you can choose from; the Modular Tactical and the Benchrest. Each of these versions pertain to the forend that comes with the chassis system. The Benchrest forend has a totally free floating barrel feature which means you can use virtually any barrel that you want with it. As for the Modular Tactical forend, it is an AR-style forend that can attach to the chassis by using an integrated adapter. Both of these forends allow you to mount your Picatinney rails at any 360-degree direction on the forend. Please note that the Picatinney rails are sold separately from this chassis system and stock. The price of the JP Advanced Modular Chassis System is normally $1,099.99 but you can get it for $899.99 on most gun store websites. The default color of this chassis system is Matte Black Teflon but you can pay $300 extra to have it coated with Duracoat Magpul Dark Earth or Duracoat Blue Titanium, which is dark gray. These are just optional features to choose from in case you want to add style to your weapon’s appearance. 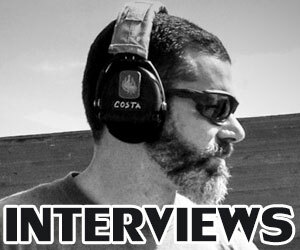 If you aren’t familiar with “Duracoat,” it is a patented chemical coating technology which is not like any other finishing you’ve ever had on a firearm. The Duracoat chemical coating is applied in two parts and results in a permanent finish that will last for a lifetime. So, if you plan to use your Remington 700 for decades and then pass it down to your family members after you die, then a Duracoat upgrade will certainly be worth the investment. The Accuracy International Chassis System for the Remington 870 bolt action rifle is one to consider for those who want to use their weapon as a sniper rifle. To understand the true power of this chassis system, you have to be familiar with the AT and AX sniper rifles that Accuracy International produces. These are tactical sniper rifles which are used by soldiers in tough combat situations where they have very little time to think and react. With the Accuracy International Chassis System, you can modify your existing Remington 700 platform so that it can give you all the benefits of the AT or AX sniper rifles. How cool is that? The AICS is made of alloy and polymer to give it a strong durable performance while making it comfortable to handle and grip. 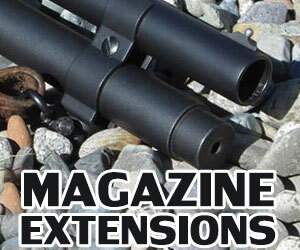 You can apply this system to any long action or short action Remington 700 rifle. That way, you are not forced to just use one or the other. The best part is you can use a variety of cartridges which range from the .338 Lapua, .300 Win mag and the .308 Win. Soldiers in tough combat situations all day and night need a chassis system like this in order to adjust to the vast environmental changes around them. As a sniper, you’ll be in good hands with this chassis system. It is also much cheaper to just upgrade an existing Remington 700 than it would be to purchase an entirely new AX or AT sniper rifle. What you have to decide is if you want to upgrade your Remington 700 with a AICS upgrade which resembles the AT rifle or the AX rifle. After all, these are separate rifles and you can only choose one rifle to emulate in your upgrade. The AX rifle, for example, is a long action rifle that can be configured to using a .300 Win mag or .388 Lapua caliber. It wouldn’t take you that long to change the magazine, bolt, or barrel of the weapon to use these varying cartridges. 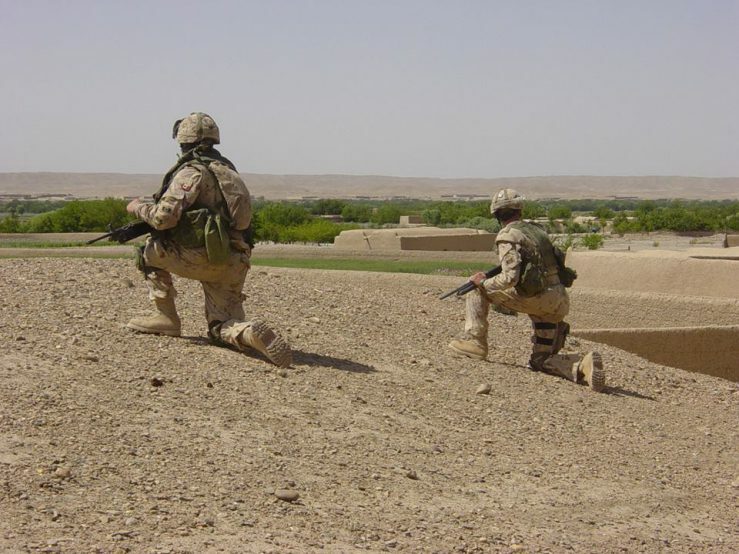 That is why an AX-style Chassis System for the Remington 700 would benefit soldiers in war because they need to be able to modify their weapons quickly while they’re under attack. On the other hand, the AT rifle system is a short action system which uses a .308 Winchester caliber. It contains a 24-inch fixed stock and is said to be suitable for civilians and law enforcement officers. But no matter which choice you make, you can be sure that it will be an improvement over the OEM components of the Remington 700. The Masterpiece Arms BA Rifle Chassis System is a platform which provides super precision and accuracy to the Remington 700. You can use this system for both short action and long action versions of the Remington 700 rifle. A lot of people who get the Remington 700 are not too impressed with its existing action because they find it lowers their accuracy. Well, the V-Bedding system of this chassis will fix all that by giving you the best precision you’ve ever had in your rifle. 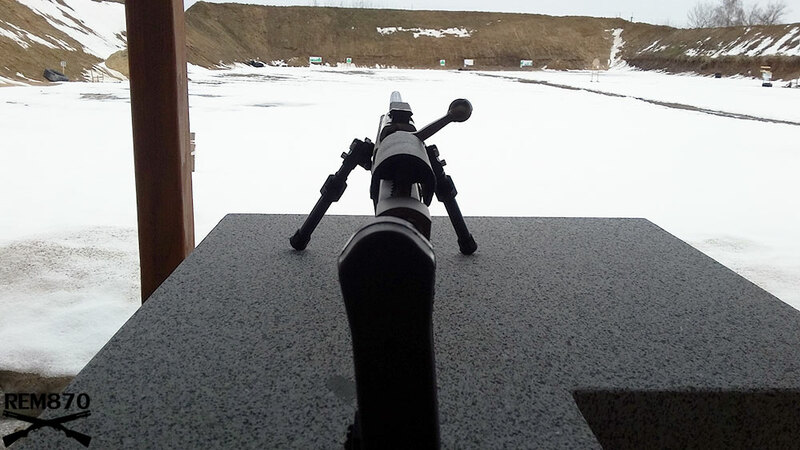 This is perfect for those who like to conduct long range shooting, whether you’re a sniper who is shooting at enemy targets or a hunter in the woods who is shooting at prey from far away. In addition, the V-Bedding system is specifically configured so that the shooter can glass bed the straight section and action if they want to. The MPA BA Chassis System is manufactured out of 6061 aluminum at the company’s CNC Horizontal Machining Centers. The buttstock of this chassis features a recoil pad and an adjustable length of pull that ranges from 13.75 inches to 14.75 inches. If you want to modify the length any further, you can use thicker or thinner recoil pads than the ones that come with the system. There is also an adjustable cheek riser and Monopod included with this system as well. The monopod can stay constricted to a tight vertical position with the option to adjust the height quickly with the various fine adjustment capabilities of the system. When you’re not using the monopod, you can neatly tuck it away in the buttstock’s frame for later use. The price of the MPA BA Chassis System is $875. When you go to the masterpiecearms.com website to place your order, you have the option to choose the color, action, barrel contour and whether you want a left hand or right hand configuration. 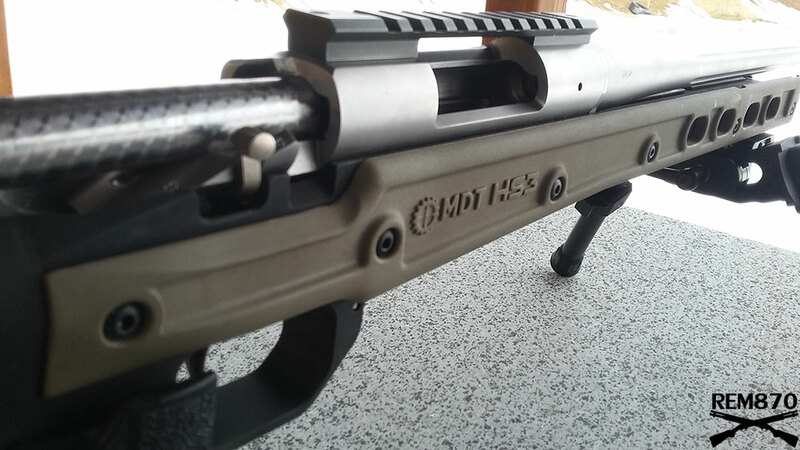 These options cannot be found with most other chassis system for the Remington 700 so you should pay attention to them. The color options include black, burnt bronze, flat dark earth, gunmetal, and tungsten. The actions can be short or long, which you already know now. But the really convenient option is to choose a right hand or left hand chassis system. Most chasses only come with right handed so if you are left handed then this may be appealing to you. Whichever options you choose, it doesn’t affect the price any more or any less. The Kinetic Research Group X-Ray Chassis is suitable for the Remington 700 short action or Remington 700 long action. This chassis system will turn your rifle into a comfortable and lightweight weapon that will feel much different than any other chassis system. The reinforced polymer construction of the X-Ray Chassis not only makes it lightweight, but it blocks heat from transferring to or from the shooter’s hand. That way, it won’t be so slippery from sweat when you’re firing the weapon under moist or humid environmental conditions. Plus, you’ll have the option of adding small grips or large grips to your chassis when you order it on the website. The choice you’ll make really depends on your hand size and what you’re most comfortable with. The X-Ray Chassis features an adjustable length of pull which can go from 12.7 inches all the way up to 15 inches. But if you use the spacers in the spacer kit that come with the chassis, you can make the length of pull even longer than 15 inches if you wanted to. The chassis gives you additional options for mounting other accessories like barrier stops, slings and so on. The action has V-Bedding so that you’ll have better precision and accuracy in your shots than you would with the standard Remington 700. One thing you should note about the X-Ray Chassis is that it only takes AICS magazines, which are not included when you purchase the system. The affordability of the X-Ray Chassis is truly something that makes it stand out from its competition. While other chassis systems cost around $900, the X-Ray Chassis only costs $549. And for that, you get most of the same benefits that you would with the more expensive chassis systems. The color options you have available include tan, black, and green. The total chassis only weighs 3.1 pounds without a magazine in it. As for the best use of this chassis system, it is really suitable for all types of use. You could be a soldier fighting in a combat environment or a casual hunter in the woods shooting at deer from far away. Although there are better chassis systems to serve both of these purposes, you won’t find one as cheap as the X-Ray Chassis. And for the cost, you’ll still be getting a quality chassis that is the result of years of innovation and carefully crafted design work. 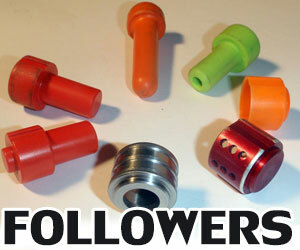 How is XLR industries not on this list?